Sachdev arrived as an H-4 visa holder, the designation for spouses and children of H-1B visa workers. She initially couldn’t work in the U.S., but a door opened in 2015, when the Obama administration approved a rule allowing some H-4 holders to gain employment. Sachdev got a job as a content manager at cloud-computing company ServiceNow. However, just as Sachdev was getting comfortable with her newfound freedom, President Donald Trump‘s administration is on the verge of potentially taking it away. It’s the president’s latest move against immigration, a subject that has riled his critics since he began his campaign by attacking Mexicans who were crossing the border. 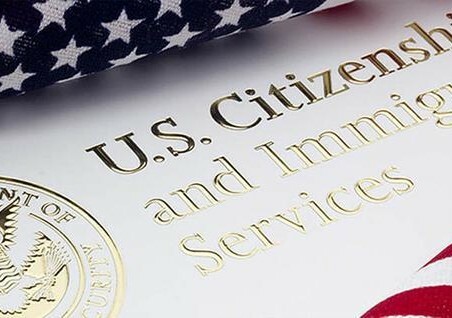 A number of prominent U.S. business leaders, including Apple’s Tim Cook, IBM’s Ginni Rometty and J.P. Morgan Chase’s Jamie Dimon wrote a letter last week to Homeland Security Secretary Kirstjen Nielsen expressing concern over immigration policy, specifically a spike in denials of H-1B visas for skilled foreign workers. Tech companies rely heavily on H-1B visas to hire foreign talent. In 2017, Amazon, Microsoft, Accenture, IBM and Deloitte were in the top 20 employers hiring H-1B visa holders. Brad Smith, Microsoft’s president and chief legal officer, has said his company may be forced to move jobs out of the United States if work authorization for H-4 visa holders is revoked. He’s now an engineering manager at Facebook, and they own a home in Los Gatos, on the southern end of Silicon Valley. “If the work authorization is taken away and we go back to being a single income family, mortgage payments will become a lot scarier,” Sachdev said. If that happens, “it’s very likely that we will decide to leave the country,” she said. The couple also want to have kids but have to put that on hold until they have more certainty about their future. Until the administration makes a final decision, it’s a matter of waiting and watching.